In-Tents: Too Big? Too Small? Just Right! Too Big? Too Small? Just Right! Spring has finally sprung, and weekend events, summer parties, and outdoor receptions are making their triumphant return. When potential clients contact us to begin the planning process, they often have a general idea of what type of party they are interested in – cocktail, birthday, graduation party, wedding ceremony, reception. However, they usually need assistance in creating an environment that will truly make their celebration a stunning success. As one begins to consider and work through all the possible ideas, items and details that you never considered start popping up. Believe me… It is better to work out these specifics early on in order to avoid waking up in the middle of the night two days before your event in a complete panic! One of the first questions we ask our customers when discussing their event is, “How many people are you thinking of?” While it may seem like a simple question, the answer is the launching point for the entire process. 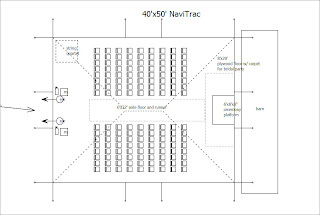 It provides a baseline of how much space will be minimally required for your party. If you are like me, visualizing an open area has never been my strongest suit. 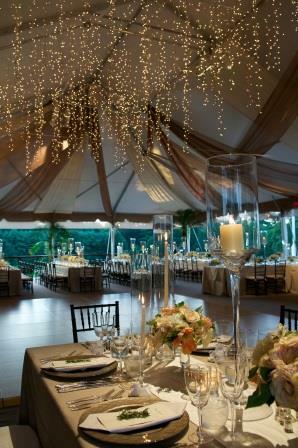 But with a preliminary headcount, you begin to decide how large or small of a marquee you will need. From there, you contemplate what type of style you want. Are you thinking of cocktail tables located throughout with passed hors d'oeuvres? Or will you have buffet stations line one side of the tent? Maybe you are considering a seated affair with round tables, and handsome servers easily navigating through the space. In order to provide your guests a comfortable and enjoyable experience, choosing a general layout and style will help give your party a good flow, and hopefully prevent guests from developing bruised elbow syndrome! Then you can move onto the fun part – entertainment! Are you going to have a DJ or a string quartet or maybe even a full swing band! (My vote is for the swing band by the way.) 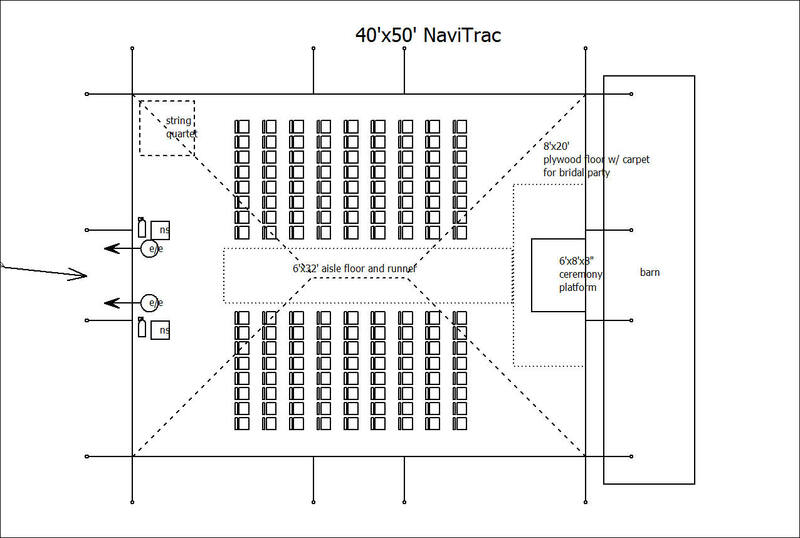 Each of these options requires you to think about the size of the bandstand or platform you will want to include in order to showcase “the talent.” And if you are going to have music, you absolutely need a dance floor! Based on how many people you are planning on inviting (and how many you think will truly party down! ), you can then select a size that is appropriate. No one wants a dance floor that is either too crowded or too empty! If you need some help getting started, be sure to look at our website. We provide general sizing information and a Wedding Timetable to keep you on track. Though you may not have all of these decisions set from the beginning, having an idea of what you want allows the conversation to begin. Details may change, but at the end of the day, the most important part is that you are celebrating a special occasion. That - and that you have an amazing time at your own party. Good luck and happy planning!